until recently, are some of the local research resources for social scientists like the archives of the Carlisle Indian Industrial School, situated less than two miles from the Dickinson College campus in central Pennsylvania. Recent efforts to increase faculty collaboration across the consortium have furthered the consortium’s goal of sharing resources, knowledge, and opportunities for both students and faculty. With the help of an Andrew W. Mellon research grant, Dickinson sociology professor Susan Rose has embarked on a multi-year project to digitize the Carlisle Indian School’s vast archives and to share these resources with the public. Likewise, Alaska Pacific University professor of outdoor education, Steve Rubinstein, traveled to Dickinson College in Carlisle, PA, to exchange ideas with faculty in environmental studies and education. Founded in 1879 as part of the United States government’s efforts to assimilate Native American youth populations into American culture, the Carlisle Indian School raises complex questions about American imperial “civilizing” projects and attempts to mollify indigenous populations. The site, currently managed by the United States Army War College, also houses controversial burial grounds for Native Americans who attended the school. Of interest to anthropologists, historians, sociologists, archaeologists, and scholars of indigenous studies, the archives of the Carlisle Indian School indeed prove fertile research ground in both figurative and literal terms. 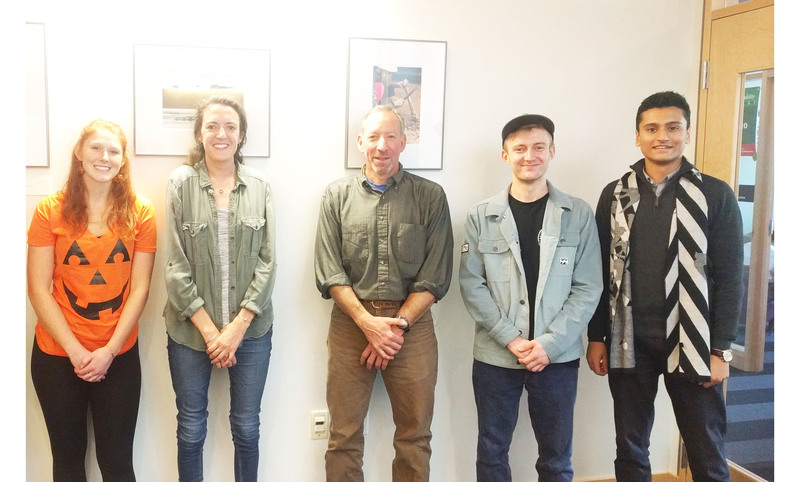 Accompanied by Dickinson College archivist Jim Gerencser and Carlisle Indian Industrial School website creator Barbara Landis, Professor Rose travelled west in spring 2018 to meet with indigenous communities and disseminate information about the project with interested colleges and museums. The trip offered multiple opportunities for faculty collaboration and community engagement across the EcoLeague consortium, as Professor Rose’s group made visits with EcoLeague partners Northland College, in Ashland, Wisconsin and Prescott College, in Prescott Arizona, to coordinate with faculty and students. Rose teamed up with the program chair of Prescott’s Masters in Social Justice and Community Organizing, Ernesto Mireles, to bring Masters students in his course on indigenous communities and land rights to a film screening of The Lost Ones: The Long Journey Home, at the nearby Heard Museum in Phoenix. “I was impressed with the people we met and the passion they had,” said Rose after meeting with Prescott students and faculty. 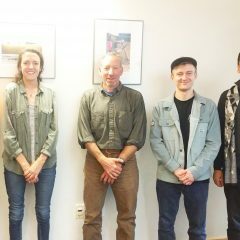 The EcoLeague also supported APU professor Steve Rubinstein’s tour of the Dickinson campus where he shared expertise on environmental and outdoor education with Dickinson students and faculty in Fall 2018. Students learned about APU’s Master of Science in Outdoor and Environmental Education. Over the past 10 years, Rubinstein has been building the outdoor education program at the 800-acre farm donated by a trailblazer of women entrepreneurs in farming, Board of Trustee Louise Kellogg. Rubinstein has creatively used APU’s Kellogg campus in Palmer, AK as a canvas on which to “paint sustainability.” Efforts include curricular design for place-based environmental education that integrates community elders and targets Alaska’s relatively high population of home-schooled students who supplement home study with outdoor learning led by APU’s student teachers at APU’s Kellogg Field School. Plans for expanding EcoLeague networks even further are already in the works, as Rose is targeting a summer 2020 trip to Alaska Pacific University. The Carlisle-based group has discovered that over 130 Indian young people from Alaska attended the Carlisle Indian School. Rose is looking to team up with APU faculty and students, and meet with Alaskan indigenous communities about their archival work.